The perfect minimal piece for everyday wear, that transitions seamlessly from day to night. The simple sophistication of this necklace lends itself to pairing well with many other pieces you already own! Wear it by itself for a understated look or double up on the style by layering. 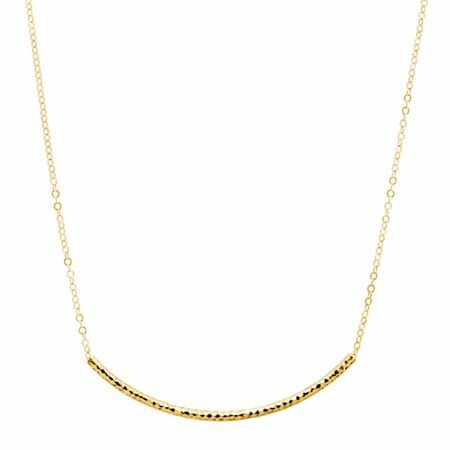 This lightweight necklace features diamond-cut facets along the central, curved bar to reflect the light as you move and has a polished finish. The design is suspended on a cable chain and finished with a lobster-claw clasp. Feature piece measures 2 by 1/16 inches with a total length of 18 inches.